The Akai MPK Road 88 MIDI keyboard controller has been designed and built for professional use on the road and in the studio. If you're a touring DJ it can be hard to find the right equipment that works as you need it to and that it can also meet the demands of travelling with you - fortunately Akai have provided a solution in the Akai MPK Road 88. 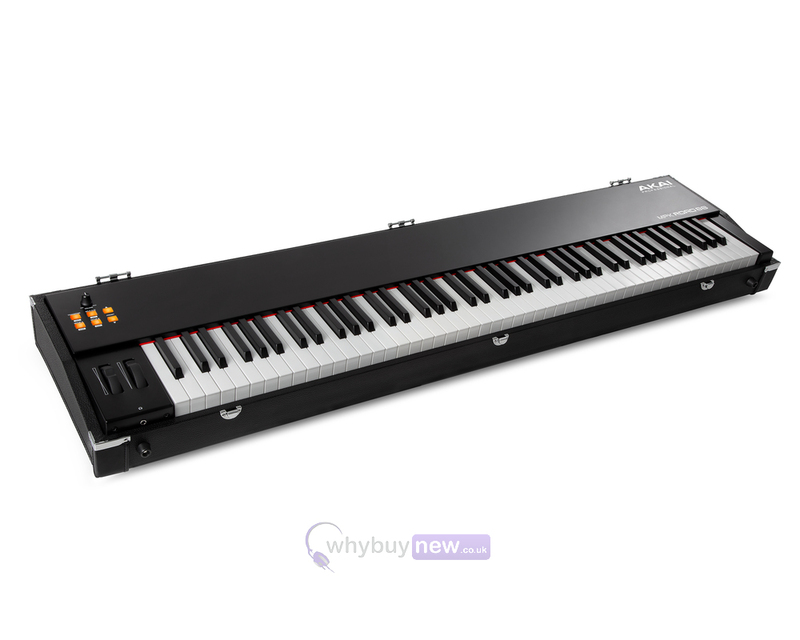 It comes with some exciting features, including: an 88-key velocity-sensitive key-bed for the realistic feel of traditional hammer keys; a built-in 4-output USB soundcard so you can carry your virtual instrument libraries wherever you go; plus a super tough carry-case with handle for safe and easy transport. 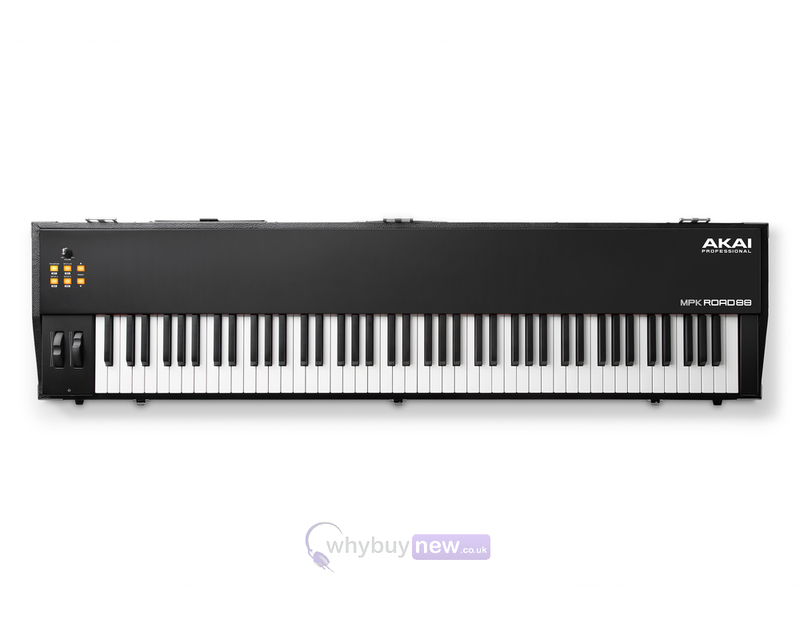 This is the MPK Road 88, a keyboard controller with Akai Professionals exclusive Model-A premium 88-key velocity-sensitive keybed with aftertouch, 4-output USB soundcard, MIDI in/out connectors and three variable pedal inputs, all neatly integrated into a tough road-ready travel case with carrying handle. 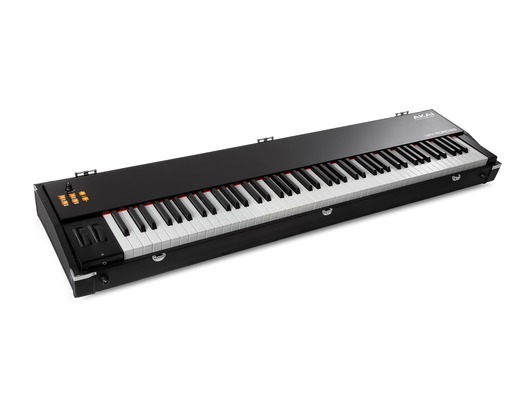 This is the ideal keyboard controller for the touring professional, combining both the great feel of hammer action keys and the creative versatility of a built-in soundcard so you can incorporate your virtual instrument libraries seamlessly into your performance. As a serious professional keyboardist, you know that feel is everything. That's what separates truly great instruments from ordinary ones. Akai Professional - a recognised industry leader in keyboard technology and innovation - has spent over two years of intense engineering research and development creating the Model-A keybed. 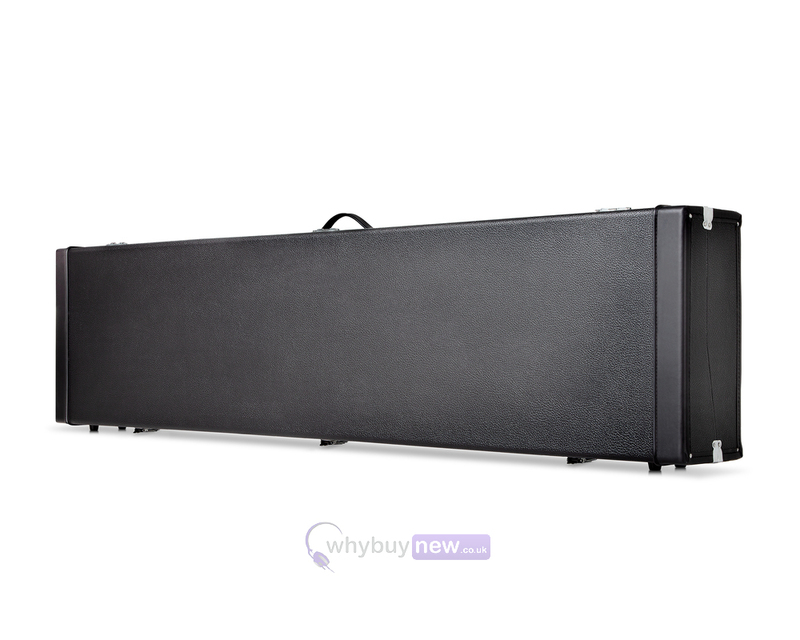 This hammer-action, velocity-sensitive keybed delivers an incredibly natural and responsive feel, absolutely unmatched by any instrument anywhere near its price. Virtual Instruments play a pivotal role in both studio music production and live performances, offering countless sounds and effects to shade and colour your music. With MPK Road 88's integrated class-compliant 4-output soundcard and superior player-centric response, you can easily route your virtual instruments to mixers and monitoring sources simultaneously for a truly hassle-free setup. This keyboard enables you to manage and employ your VI collection to maximum effect, with a keybed designed for optimum expressive capability. 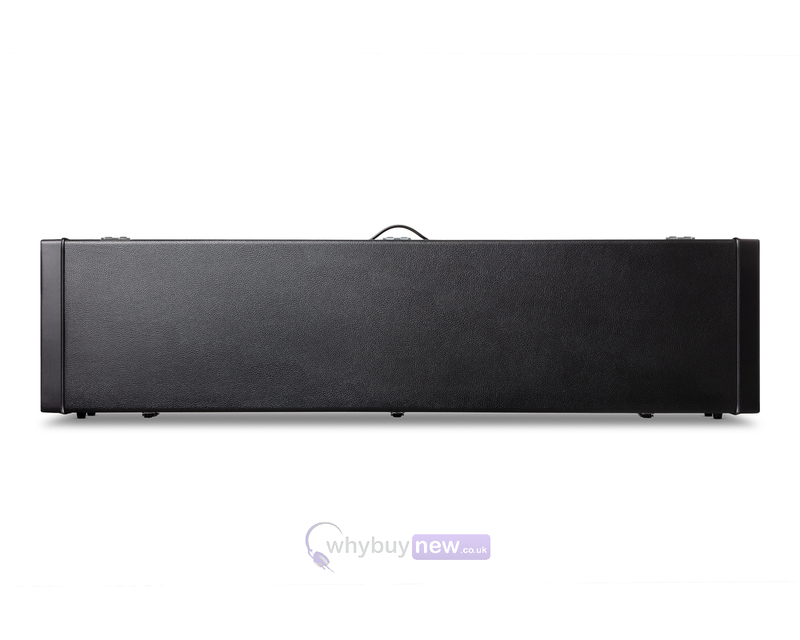 Thanks to dual expression pedal inputs, a sustain pedal input, 5-pin MIDI-In and MIDI-Out ports and class compliant USB connectivity, MPK Road 88 connects to any outboard gear and is ready for any situation. Everything you need is thoughtfully included. Pitch and Mod Wheels combine with a dedicated volume control, transpose functionality and split modes for complete versatility and adaptability in any performance environment where core-workstation control is required. With MPK Road 88, everything you want is available in one portable package. Fusing a vintage-inspired travel case with carry handle, this premium-response keyboard is ready to withstand the rigours of the road. Forget complicated rigs with MPK Road 88, you can focus on what's important: delivering your best performance!